South Australia is one step closer to stabilising its power supply. The state’s freshly installed Tesla lithium-ion battery — the largest of its kind in the world — has officially outpaced the 1,680 megawatt Gladstone power station. The Gladstone power station is contracted to provide immediate backup power in the event that the Loy Yang station, the state’s primary source of power, suffers an outage. On December 14, Loy Yang’s A3 unit failed and went offline in the early hours of the morning. The Gladstone station delivered backup power in just four seconds, yet Tesla’s new Hornsdale battery injected 100MW into the national grid in just 140 milliseconds. While the results are encouraging, the scalability of the technology is still a work in progress. “The total output of the Hornsdale battery storage is 70-100MW, whereas Gladstone generates up to 1,680MW, or 16 times more than the battery storage,” Gladstone acting general manager Nigel Warrington said. SA Energy Minister Tom Koutsantonis praised the result. “That’s a record and the national operators were shocked at how quickly and efficiently the battery was able to deliver this type of energy into the market,” he said. The A$50 million project attracted worldwide coverage after Elon Musk promised the SA government that the battery would be delivered in “100 days or it’s free”. The battery was completed on December 1 and resides at the Hornsdale Power Reserve, which is located some 220 kilometres north of Adelaide. The reserve borders the Hornsdale Wind Farm, a joint project between the SA government and French renewable energy firm Neoen. The farm features 99 wind turbines and can generate up to 1,050,00MW of renewable energy. The Hornsdale battery houses two components which possess a total generation capacity of 100MW and can store up to 129 megawatt-hours (MWh) of wind energy. The first component is 70MW and is contracted to the SA government, featuring around 10 minutes of storage intended to stabilise the grid in the event of an outage. This component is a strong candidate for the Australian Energy Market Commission’s ‘fast frequency response market’. At just 30MW, the second component is significantly smaller but is capable of three to four hours of energy storage. If called upon, the second component of the battery would excel in the Frequency Control Ancillary Service Market, which provides a contingency service on differing time intervals to regulate eight regions across Australia. The early success of the Hornsdale battery should help kick-start the renewable energy revolution underway in the state. SA Premier Jay Weatherill referred to the Hornsdale battery as ‘history in the making’ which positions South Australia as a world leader in dispatchable renewable energy. 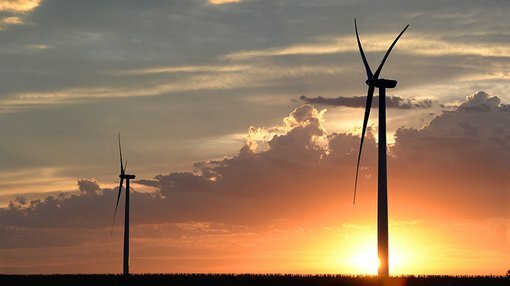 The SA government has already greenlit additional energy projects thanks to its A$150 million Renewable Technology Fund. The RFT was conceived in mid-2017, with the aim of attracting submissions from leading renewable energy companies around the globe. As of October last year, the government had already received 60 proposals, with four of those having since been approved. Among the approved proposals are two major solar and battery storage projects, a thermal storage plant that will hold heat generated from waste water, and a hydrogen production plant. “The Renewable Technology Fund is harnessing this momentum so we can drive new projects and establish South Australia as a global hub for the storage of renewable energy,” Koutsantonis said. With the country now in the height of summer heat, the coming weeks will be pivotal in assessing the battery’s true success.